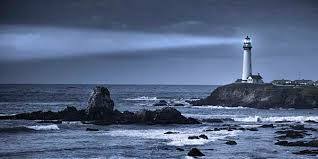 Lighthouse Addiction Services | Halcyon Management Group, Inc.
A guiding light through the storms of life. Lighthouse Addiction Services is a Florida-licensed outpatient substance abuse treatment program providing services throughout the SunCoast Region of Florida. We currently have six office locations (click “Office Locations” above to see our locations). While the primary service of the agency is the provision of substance abuse counseling, the agency also offers court-recognized programs in Anger Management and Batterers Intervention. Additionally, the agency offers one-day classes to address Substance Abuse, Anger Management, and Shoplifting for individuals required to complete a one-day class (Click on “Programs” above to see a description of all of our programs). If you are looking for a partner to help you or your loved one to make significant changes in your life, then we hope that you will give us a call.